While food and wine pairing is down to personal taste, the main goal is to allow for the food and wine to combine in a harmonious way; complementing each other. There are no absolute rules, but different food textures and flavours do tend to work better with certain styles of wine. Unoaked red wines are good for roasted meat, pasta and rice dishes, especially in tomato sauces, chorizo and serrano ham, and warm winter soups. 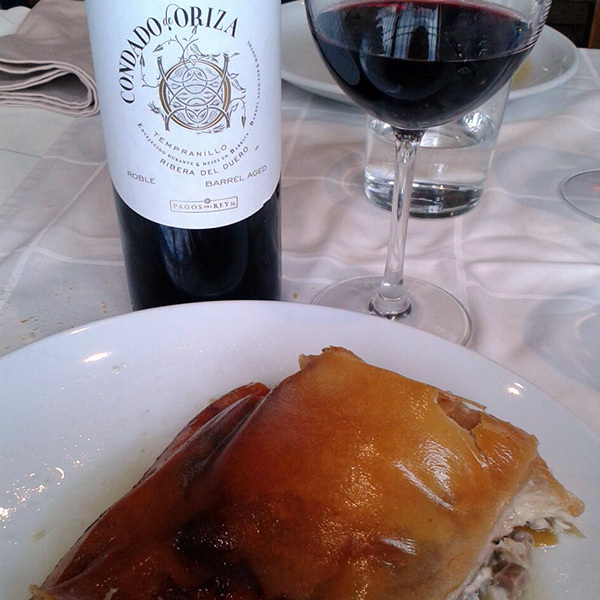 Oaked red wines like crianza, reserva or gran reserva are good for meaty soups, lamb, game, roast beef and mature cheeses. White dry wines and light rosés are the best option for seafood and fish, white semi- sweet and sweet wines match chocolate and other dessert.